Contributor AirVuzWeldas used a DJI Mavic Pro 2 drone to create this video of a well known bridge in the interior of Brazil. 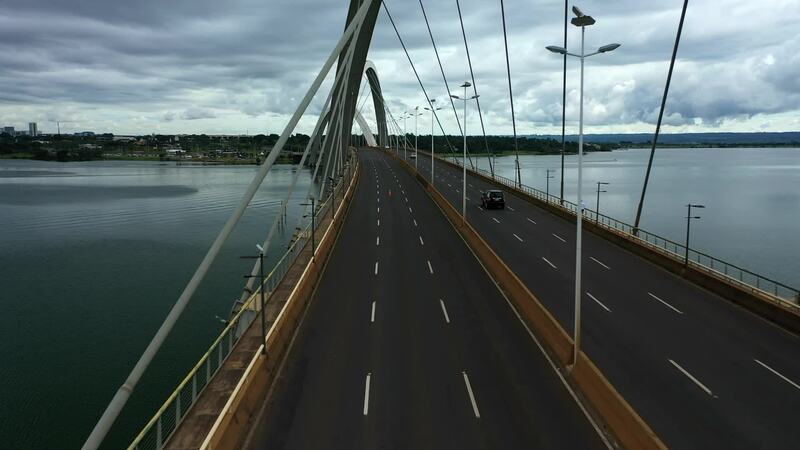 The Juscelino Kubitschek Bridge, named after a former Brazilian president, spans the artificial Paranoá Lake in the country's capital city Brasilia. Completed in 2002, the bridge has a length of 1.2k meters (about 3.9k ft.). The design is distinguished by four assymetrical steel arches. It's one of the most well known landmarks in Brasilia, now Brazil's third largest city.